It's a great, iconic line. However, it should not be your motto when building your internet business. In fact, when it comes to building an online business, it’s pretty awful advice. And it’s a mistake I’ve seen many would-be Internet entrepreneurs make. The reality is, in the offline world you can build a traditional brick-and-mortar business like a pizza shop, open it up, and people will just come in and spend money simply because the location exists - no marketing, advertising, or promotion needed. In the online world, nothing could be farther from the truth. If you put up a new website without any marketing, advertising, or promotion nobody will ever find it. Some people, when first starting their online business, focus on creating a product, building their website, planning marketing campaigns, and setting up an online shopping cart/store. They have this great idea for a product. It’s a sure winner. So they develop a whole business around that product. It sounds like these folks are covering all the bases for a thriving business. But the all-important first step is missing: figuring out if there’s a market for that product. Are there actual customers out there who want to buy it? That’s the first thing you must determine. The reality is, in business, if you want to have the best chance of succeeding, rather than coming up with a great idea that nobody has come up with yet and hoping there is a market for; instead find out what people are already buying and create a service/product that fills that existing need. The truth is, in most cases if something isn't being done already; it's not because nobody has thought of it before, but rather people have already tried it and it's failed because there is no market for it. It's always about the market first and the product second. I'm not suggesting that there is no room to come up with new ideas and bring new products that don't exist into the market. Henry Ford is famous for stating that if he had asked people what they wanted... the would have said faster horses. What I am advocating though, is that if you want to have the best chance of success in any business ventures it's a lot easier to go after a proven market that already exists. Remember, it's the pioneers that have arrows in their back. With that said, if you want to go where the sales are, you need to know the best-selling niches online and get in on that action. You’ll discover your unique place in that overall niche, whether it’s with your own product or with someone else’s through affiliate marketing. The idea here is you want to go into a bigger market that has longevity. An example (as you'll see below) is the fitness and weight loss market vs the Keto market. If you focus a business around the fitness and weight loss market you'll always have an audience. You can market and promote the hot trends of the day, but when those go away you can easily move onto the next big thing. If however, you go to narrow and build a site and audience just on the Keto market, when the health trend ends, so does your business. If you want to start a profitable online business with the best chances of succeeding out the gate; you can't go wrong entering a market that is already proven to be profitable. P90X, Weight Watchers, the Atkins Diet, the South Beach Diet, the Keto Diet… the list goes on. For centuries, people have been obsessed with losing weight and getting in shape. And they're always looking for the next fad diet, exercise program, or magic pill to help them do it. Companies have been right there with them with products helping them do just that: supplements, diets, weight loss programs, exercise programs, and more. As a marketer, you can’t ever go wrong on this niche. Just about every demographic in every country in the world is into this. Again, don't let the idea that this market is very crowded fool you into thinking you can't compete in it. Where there is a lot of competition there are plenty of profits to be made. Even if you only get a small piece of the pie; the market is so big you can build a six or seven figure business in this market. Fitness and weight loss will always be a proven niche market that sells and anybody can grab their piece of the pie, or should I say apple. This is closely related to the fitness and weight loss market and there is some overlap, but it’s different enough to merit its own entry onto the top 10 list. Alternative health is extremely popular here. We’re not talking about mainstream medicine. These are cures and alternative treatments that the pharmaceutical companies don’t want you to know about after all. The opportunities to profit here are endless: books, supplements, information products, physical products, coaching, etc. Another thing to keep in mind is that there are always going to be new growth areas in this market. Right now medical marijuana and CBD oils are an emerging trend in this field. Unlike most other niches where having a certain level of expertise isn't required, it could be helpful to either be an expert or team up with an expert in this field. Possible businesses here include promoting dating websites, many of which offer commissions to marketers who send them new sign-ups. You could also promote “pick up” guides, books on building stronger relationships and communication, and more. This is a niche where there is plenty of opportunities to even niche down further. You could approach dating for straight couples, dating for gay couples, dating and relationship for certain religious groups, etc... the possibilities here are endless. Dating and relationships, whether for single people, couples, divorced people, etc. will always be a huge niche market that sells and is full of profit potential. Maybe a bit silly, but there you go. The reality is many people treat their pets and spend more on their pets than they do on themselves, and this is a niche market that is only growing bigger and bigger each year. Also known as self-help, this is a huge niche online. There are courses and programs, books, videos, online training, coaching. Whether someone wants to build self-esteem, experience career success, increase their confidence, set and achieve goals, overcome adversity or obstacles… there is a self-improvement product out there. You’ve heard of Tony Robbins. Same sort of deal. It’s a $10 billion a year industry, and always growing. People want to feel happy, satisfied with life, and stress-free. And they almost never buy just one book or program, which lends this market well to repeat purchases and higher-ticket programs. Again, you don't have to be a big name like Tony Robbins, Jack Canfield, or have a big brand like The Secret. A small piece of this big market can provide for a very successful online business. Let’s face it, people want to make money. And they know that stocks, bonds, options, forex (currency trading), futures, and other investment products are a way to do that. They’ve seen the news and all those hedge fund billionaires and super-successful investors cashing in. They want to get in on the action. This doesn't have to be high level investing and complicated financial matters, this could simply be basic budgeting and saving as mentioned above. There are some people who have built six-figure businesses just teaching people how to save more money with coupons! Whether the market is going up, down, or sideways… whether it’s a recession, depression, or boom time… bull or bear market… investment products do well. Because people always want to make money in the markets and you do so no matter how the economy is doing. Even this field is constantly seeing new opportunities; right now Bitcoin and cryptocurrency are hot topics people want to learn more about. You could also get into network marketing (no, not all these “multilevel” marketing companies are scams). Some are actually valid ways to make money if you do it right. Even if you're building an online business in any of these other niches, you can teach others the strategies and tactics you've used online to build your own business, creating another side business of your own teach internet marketing. Having smoother tighter skin, being more radiant, erasing wrinkles. Looking younger and more attractive is a goal of many people. So any sort of creams, formulas, or similar products that promise to eliminate or reduce the signs of aging are very popular. Anti-aging cosmetic treatments, skin care products, and more are a huge business. Industry watchers say it will grow to nearly $200 billion in sales annually by 2019. With more and more baby boomers aging and looking to reverse the signs of aging this is potentially one of the largest markets on our top 10 list of profitable niches. Another opportunity ripe for this market is to start a YouTube video demonstrating health, beauty, and haircare type products. Just simply being an influencer in this market can be very lucrative. Whether it’s a tablet or smartphone, computer speakers, mp3 players, smart devices for the home, thumb drives, cellphone cases, earphones… people are in love with gadgets and accessories. Everybody wants the latest technology (can anyone say new iPhone). And you can capitalize on that in a few ways. The easiest would be to sell the products as an affiliate through an e-tailer like Amazon. Or you could import products through a site like Alibaba.com or Aliexpress.com, which link you to manufacturers and wholesalers abroad. You could also create your own tutorials, information products, and such as well. Though not required, this is another market that would lend itself very well to videos and video tutorial type content. Maybe they’re in debt and need help paying it down or getting a lower interest rate. Perhaps they’re facing bankruptcy and need help navigating that process. In severe cases maybe they’ve gotten that dreaded letter from the IRS saying they owe back taxes. In any case, you won’t be offering legal help. 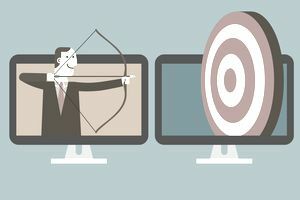 But you can connect your prospects with expert providers, promote information products as an affiliate, or offer products like credit monitoring as an affiliate. This is a huge niche with a lot of opportunities. You can also create e-learning and education products to help people navigate these issues and improve their financial situation. Go through the list of top 10 best-selling niches. Figure out what piques your interest the most or what meshes with your product idea. Explore affiliate networks like Clickbank.com, CJ Affiliate or Amazon for products in those niches. Note the best-selling products in the best-selling niches. Check out other online businesses in that niche to see what they’re doing to promote their products, like email marketing, marketing funnels, social media, etc. Model your new business on the “winners” you spot out there. Remember that affiliate marketing is a great way to get started with low risk. You could also develop your own products as you grow your business online. As mentioned above there are several ways you can make money in these niches. Promoting other products as an affiliate, parntering with other experts to create information products, promoting physical and digtal products, etc. Another option in these very large markets is running advertistments on your site. The great thing about these niches is that because they are so big there's massive amounts of demand and traffic you can attract to your website and there are also many products, services, and other ways you can monetize with the traffic you get. You will also be in a position to constantly stay ahead of the curve by promoting the newest trends and products in these proven niche markets. Focusing your efforts on building a business in an already-popular niche is a great way to get your online venture off the ground. There’s no guesswork here. You know these are products people want… and they’re based on innate human desires and needs that are never going away. You’ll have a huge head-start in your market research and that means you can be making money online sooner than you thought possible. Whether you sell as an affiliate or create your own products, you’re sure to have the makings of a profitable online business.